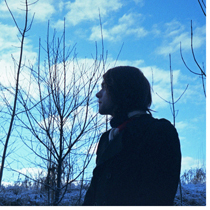 Alexander von Mehren is a pianist, songwriter and producer from Bergen, Norway. He started playing the piano at the age of four and began receiving classical piano lessons when he turned seven. During his ten years of classical training, von Mehren gradually developed an interest in alternative music and started writing his own compositions, especially inspired by French, German, Italian and British library music, 60s/70s soundtracks, alternative pop à la Stereolab and The High Llamas and the Chicago-based post-rock scene. The album, entitled Aéropop, was mastered by Steve Rooke at Abbey Road Studios in London April 2012 and released August/ September 2013 on double 180 gram vinyl, CD and digital formats via The Control Group (North America), Folkwit Records (United Kingdom), Rallye Label (Japan), Klangkollektivet (Norway) and Aéropop Records (Rest of World). Aéropop also features musical contributions by members of The High Llamas, Tortoise, Jaga Jazzist, Orwell and Modular. Aéropop Revisited, an EP of remixes of selected tracks from Aéropop, was released November 2014 on 180 gram vinyl, CD and digital download. The EP features remixes by Sean O'Hagan (The High Llamas), Andy Ramsay & Joe Watson (Stereolab), Orwell, Young Dreams, Dave LeBleu (The Mercury Program) and Crookram and was mastered by Alex Wharton at Abbey Road Studios. von Mehren appears live with a six-piece ensemble consisting of guitarists Fredrik Drønen and Erlend Alm Lerstad, bassist Chris Holm, drummer Kim Åge Furuhaug, percussionist Marius Erster Bergesen and saxophonist Erlend Hausken. The band debuted at a sold-out Landmark in Bergen December 2009 before performing at Kvarteret in Bergen and the by:Larm festival in Oslo February 2011 as well as Jassbox/Bergenfest April 2011, Tellés Sommerfest August 2012 and several release concerts in Norway August/September 2013. von Mehren also appeared at SXSW 2014 in Austin, Texas, and as an opening act for The High Llamas in London April 2014 and Sondre Lerche in Europe, Japan and Brazil May-December 2017.
von Mehren performs regularly as pianist for Sondre Lerche and has contributed live and in studio with acts such as Young Dreams (vibraphone, glockenspiel), Chris Joss (vibraphone), Orwell (strings and brass arrangements, piano, percussion), Nathalie Nordnes (piano, keyboards), Bobby Hughes Combination (piano, keyboards), Kinny & Horne (piano), Crookram (piano, synth), Kommode (vibraphone), Le Futur Pompiste (vibraphone), Milk (drums, percussion, vibraphone, vocals), The Sheriff (piano, keyboards, vibraphone), Hypertext (piano, keyboards, vibraphone) and O. Martin (production, mixing, piano, vibraphone).